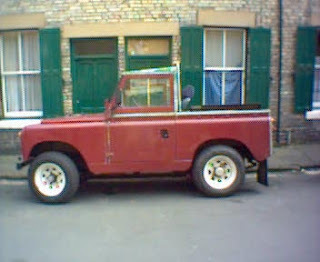 The successor to the successful Series I was the Series II, which saw a production run from 1958 to 1961. It came in 88 in (2,200 mm) and 109 in (2,800 mm) wheelbases (normally referred to as the 'SWB' and 'LWB'). 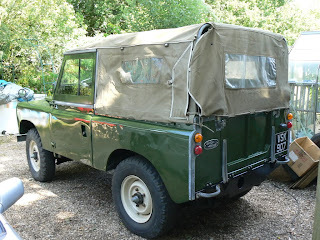 This was the first Land Rover to receive the attention of Rover's styling department- Chief Stylist David Bache produced the familiar 'barrel side' waistline to cover the vehicle's wider track and the improved design of the truck cab variant, introducing the curved side windows and rounded roof still used on current Land Rovers. The Series II was the first vehicle to use the well-known 2.25-litre petrol engine, although the first 1,500 or so short wheelbase (SWB) models retained the 52 hp (39 kW) 2.0-litre petrol engine from the Series I. This larger petrol engine produced 72 hp (54 kW) and was closely related to the 2.0-litre diesel unit still in use. 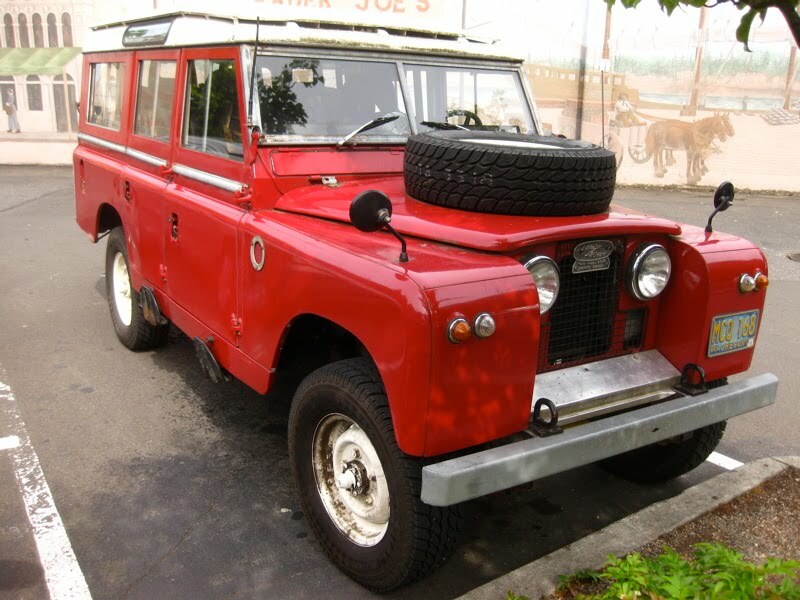 This engine became the standard Land Rover unit until the mid-1980s when diesel engines became more popular. 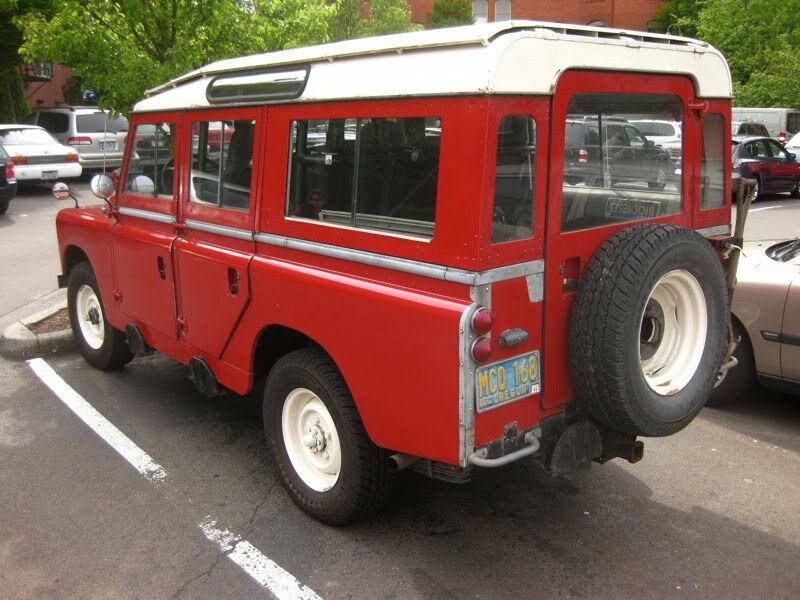 The 109-inch (2,800 mm) Series II Station Wagon introduced a twelve-seater option on top of the standard ten-seater layout. This was primarily to take advantage of UK tax laws, by which a vehicle with 12 seats or more was classed as a bus, and was exempt from Purchase Tax and Special Vehicle Tax. This made the twelve-seater not only cheaper to buy than the 10-seater version, but also cheaper than the seven-seater 88-inch (2,200 mm) Station Wagon. 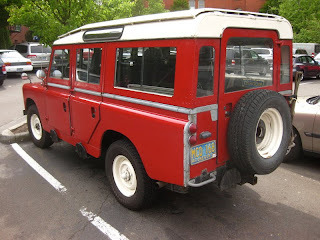 The twelve-seater layout remained a highly popular body style for decades, being retained on the later Series and Defender variants until 2002, when it was dropped. The unusual status of the twelve-seater remained until the end—such vehicles were classed as minibuses and thus could use bus lanes and (if registered correctly) could be exempt from the London Congestion Charge. There was some degree of over-lap between Series I and Series II production. 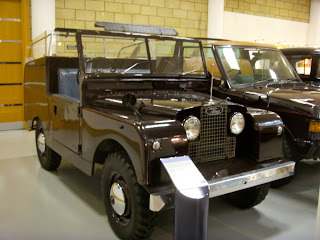 Early Series II 88-inch (2,200 mm) vehicles were fitted with the old 2-litre petrol engine to use up existing stock from production of the Series I 107-inch (2,700 mm) Station Wagon continued until late 1959 due to continued demand from export markets and to allow the production of Series II components to reach full level. The SII and the SIIA are very difficult to distinguish. There were some minor cosmetic changes, but the most significant change was under the bonnet in the guise of the new 2.25-litre diesel engine. Body configurations available from the factory ranged from short-wheelbase soft-top to the top-of-the-line five-door station wagon. Also the 2.6-litre straight six petrol engine was introduced for use in the long-wheelbase models in 1967, the larger engine complemented by standard-fit servo-assisted brakes. 811 of these were NADA (or North American Dollar Area) trucks, which were the only long-wheelbase models made for the American and Canadian markets. From February 1969 (home market), the headlamps moved into the wings on all models, and the sill panels were redesigned to be shallower a few months afterwards. 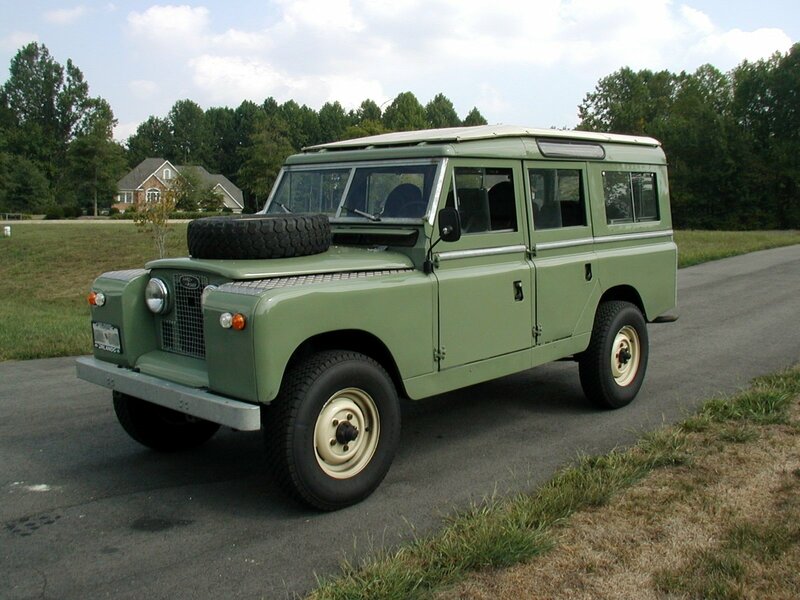 The Series IIA is considered by many the most hardy Series model constructed. It is also the type of classic Land Rover that features strongly in the general public's perception of the Land Rover, from its many appearances in popular films and television documentaries set in Africa throughout the 1960s, such as Born Free. In February 1968, just a few months after its manufacturer had been subsumed, under government pressure, into the Leyland Motor Corporation, the Land Rover celebrated its twentieth birthday, with total production to date just short of 600,000, of which more than 70% had been exported. Certainly it was whilst the Series IIA was in production that sales of utility Land Rovers reached their peak, in 1969–70, when sales of over 60,000 Land Rovers a year were recorded. 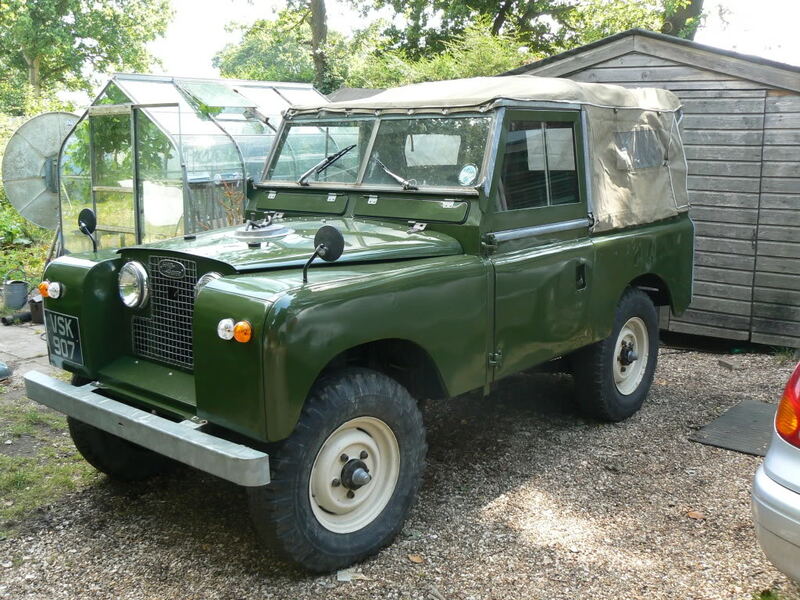 (For comparison, the sales of the Defender in recent years have been around the 25,000 level since the 1990s.) 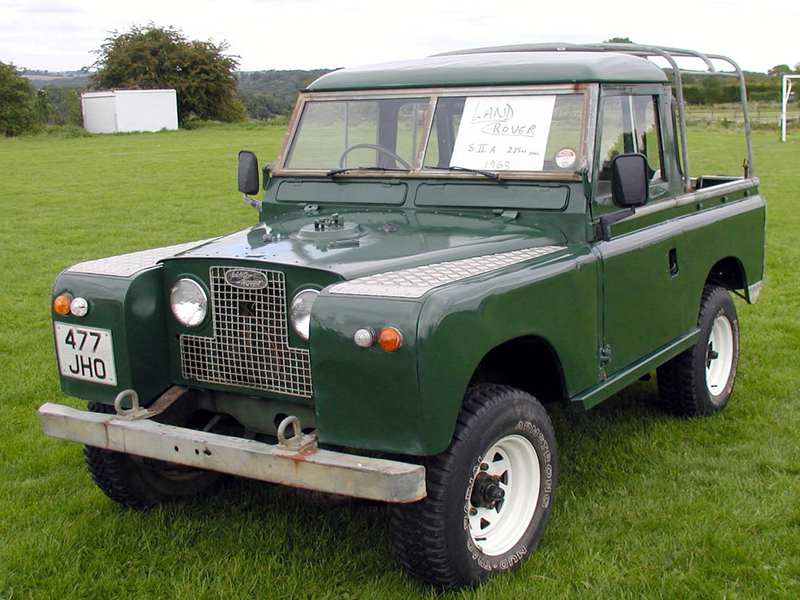 As well as record sales, the Land Rover dominated many world markets- in Australia in the 1960s Land Rover held 90% of the 4×4 market. This figure was repeated in many countries in Africa and the Middle East. The Series IIA FC launched in 1962 was based on the Series IIA 2.25-litre petrol engine and 109 in (2,769 mm) chassis, with the cab positioned over the engine to give more load space. Export vehicles were the first Land-Rovers to get the 2.6-litre petrol engine. 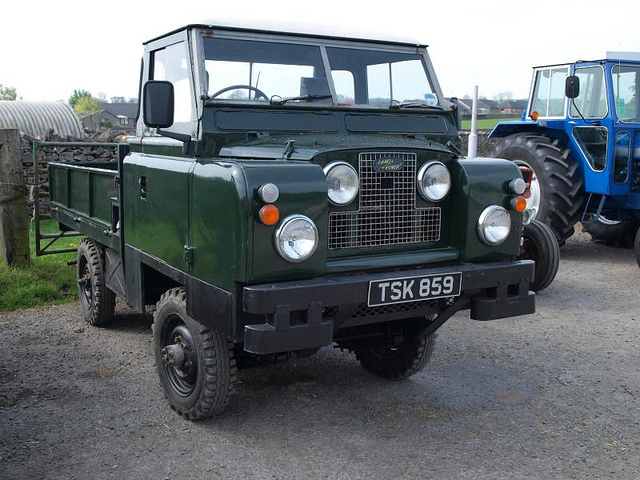 Most examples had an ENV rear axle, a matching front axle came later. 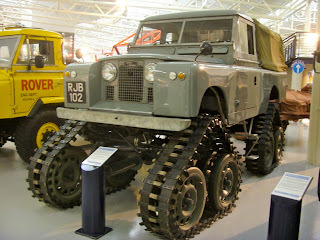 Tyres were large 900×16 types on deep-dish wheel rims to spread the ground weight of this heavy vehicle. These vehicles were somewhat underpowered for the increased load capacity (1.5 long tons or 1,500 kg), and most had a hard working life. Less than 2,500 were made, and most had a utility body, but surviving examples often have custom bodywork. With an upgraded powertrain, they can be used as a small motorhome. 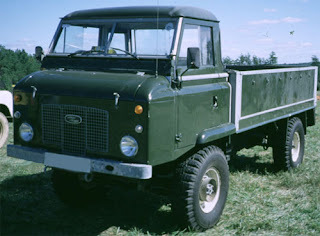 The Series IIB FC produced from 1966 was similar to the Series IIA Forward Control but added the 2.25-litre diesel engine as an option. The 2.6-litre engine was the standard engine for this model, the 2.25-litre engine being only available for export. Heavy duty wide-track axles (designed by ENV) were fitted to improve vehicle stability, as was a front anti-roll bar and revised rear springs which were mounted above the axle rather than below it. In the process the wheelbase was increased to 110 in (2,794 mm). 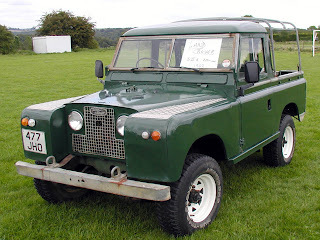 Production ended in 1974 when Land-Rover rationalised its vehicle range. Many IIB components were also used on the "1 Ton" 109 in vehicle. Last updated on 26 May 2013 at 03:01.